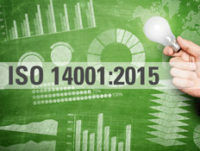 ISO 14001:2015 Transition - Tavares Group Consulting Inc. Since the release of ISO 14001:2015, Tavares Group Consulting Inc. has been successfully guiding our clients through gap analyses, planning, training and implementation processes. Our variety of services are scalable to our clients’ business needs in order to support successful transitions to the new standard. We pride ourselves on providing clients with unique and cost-effective solutions with an emphasis on knowledge sharing to ensure our clients are left with the skills, experience, and confidence to carry the results of their projects forward. For more information on how we can assist your organization on the transition to ISO 14001:2015, contact us! In the Fall of 2015, Tavares Group Consulting Inc. was engaged by Bruce Power, the world’s largest nuclear generation facility, to perform a gap analysis between ISO 14001:2004 and ISO 14001:2015, in order to better prepare the organization for their transition to the newly released standard. As a deliverable, Tavares Group Consulting prepared a report outlining the results of the off-site EMS review, including recommendations for revisions to current processes and procedures. A second phase of the project was completed in April 2016, which included the implementation of various recommendations identified in the gap analysis. Working together with Bruce Power, Tavares Group Consulting revised the organization’s aspect database in order to incorporate new requirements of the standard (e.g. identification of risks, threats and opportunities, life cycle thinking etc.) and various procedural documents to ensure conformance with ISO 14001:2015. In the Fall of 2016, Tavares Group Consulting Inc. was engaged by a Canadian Automotive OEM. The project included an integrated ISO 14001:2004 Internal Audit and ISO 14001:2015 Gap Analysis. Deliverables included an internal audit report in addition to a gap analysis report outlining the results of the EMS review, including the confirmation of the implementation of various aspects of the new standard, the identification of gaps, and recommendations for revisions to current processes and procedures to meet the requirements of the new ISO 14001:2015 standard. In the Spring of 2016, Tavares Group Consulting Inc. conducted an integrated ISO 14001:2004 Internal Audit and an ISO 14001:2015 Gap Analysis for a Tier-2 supplier to some of the world’s largest Tier-1 automotive component and assembly manufacturers and OEM supplier of honed hydraulic tubes for manufacturers of agriculture and construction equipment. The deliverables included an internal audit report in addition to a gap analysis report outlining the results of the EMS review, the identification of gaps, and recommendations for revisions to current processes and procedures to meet the requirements of the new ISO 14001:2015 standard. Over the course of 2016 and 2017, Tavares Group Consulting Inc. has been engaged to develop and deliver facility-specific ISO 14001:2015 training sessions to various Tier 1 automotive suppliers across north America. The sessions have been interactive in nature to ensure meaning participant interactions and have been conducted on-site and online. Sessions have even been recorded to be integrated within organizational training portals.